Hello, blueberries, and happy Wednesday! Thanks for visiting the Good To Grow blog. All week I’ve been celebrating Living Art Week! By living art, I mean creating something beautiful using nature to your advantage. 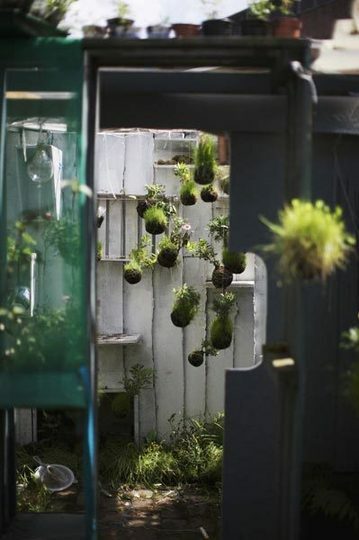 Vertical gardens, succulent walls, hanging vegetable gardens. Living art can be for decoration, or for practical uses or both. People are being so creative – I just love it! Today for my Living Art Week!, I’m going to take you on a tour of interesting gardens I’ve culled from various websites. So grab a cup of coffee, sit back, and prepare to be inspired. I’m entranced by Gavin’s website over at livingwallart.com. 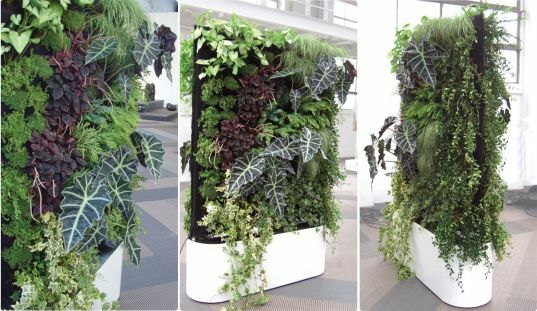 Today he’s showcasing an aquaponic vertical garden from Inka Biospheric Systems. It’s incredible – look! 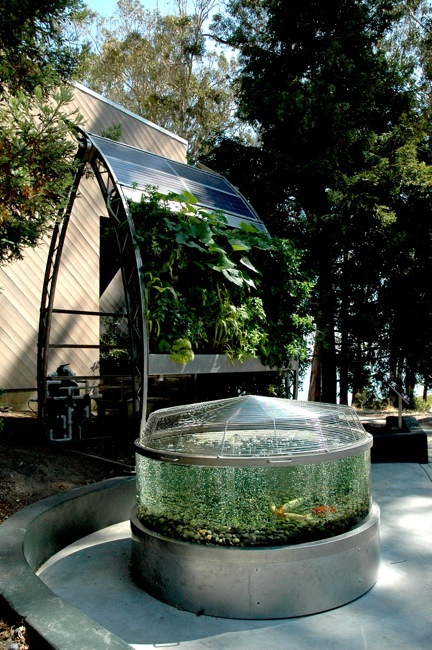 “Perhaps the most interesting, however, is the completely closed-loop urban food growing system – the Inka Sun Curve. The fish in the tank need oxygenated, clean water. The water from the tank is pumped up through the system and the roots of the plants act as a biofilter to help clean the water. As it drips through the system and back into the tank, it puts more oxygen into the water for the fish. I found these gardens at a website called Rowdy Kittens. I’d never visited the site before, but it’s adorable! 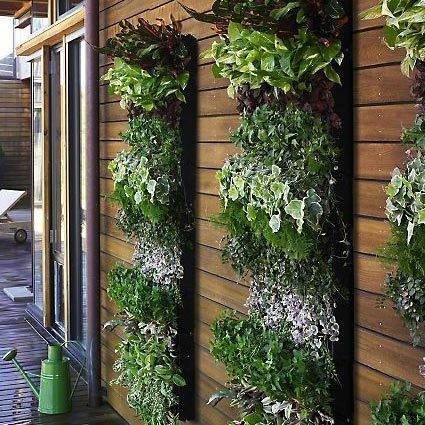 And these vertical gardens are gorgeous. I’m smitten with the gardens being created by the creative folks over at Green Over Grey. Their plant creations are so beautiful! Breathtaking! This is also from Green Over Grey. Another one from Gavin’s site, livingwallart.com. 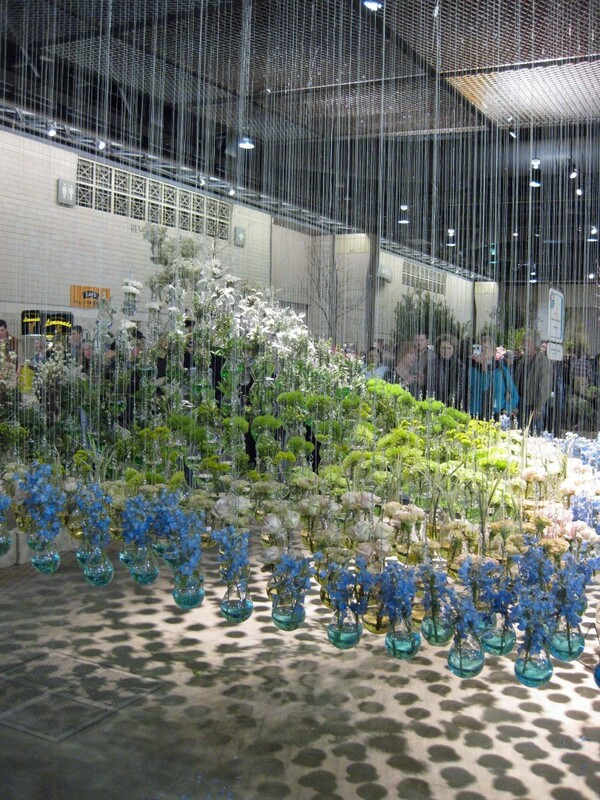 He said Susan Cohan took this photo of a floating garden at the Philadelphia Flower show. What a beautiful display! 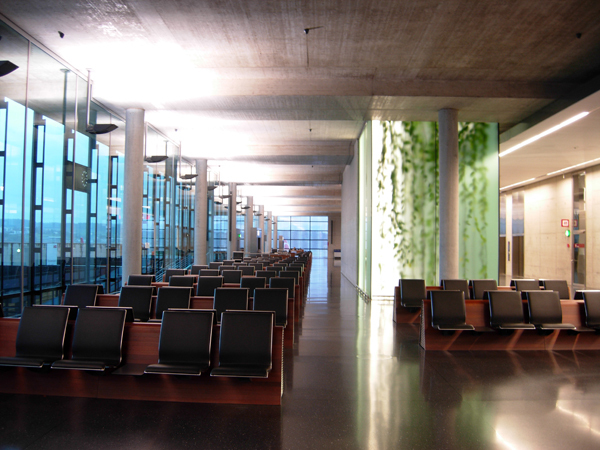 This is the Zurich airport. I got the photo from Land8Lounge.com. 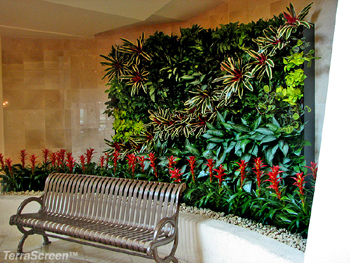 Check out this fabulous creation by the folks over at TerraScreen. 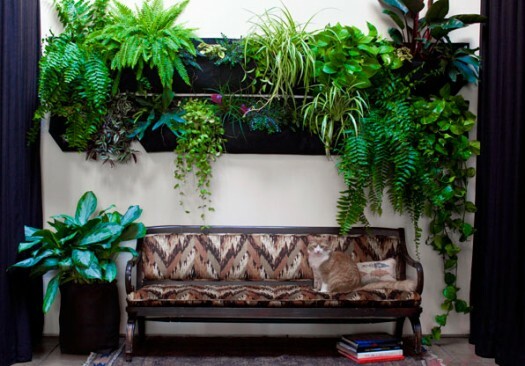 It’s so inviting and lush – I would totally hang out on that bench. How simple and how genius is that? I love it! It came from the Instructables site via Apartment Therapy. Now these next two photos, I have to apologize upfront. I cannot remember from what site I took them. I have to go to work now, but I promise to do more homework this afternoon so I can give credit where credit is due. They’re so pretty, I just had to include them! I’ve been told by GardenBeet that the above is actually from Woollypocket.com. Ahhhhh. So many inspiring ideas. I hope you enjoyed the show. I’ll be back tomorrow with another edition of Living Art Week! on the Good To Grow blog. Thanks again for being here. Until tomorrow, happy gardening! Update: I’m a moron. If I’d simply looked at the title of the image, I would’ve seen where I got them. The bottom photo says, Greenworks, here is a link to their site. Sorry! 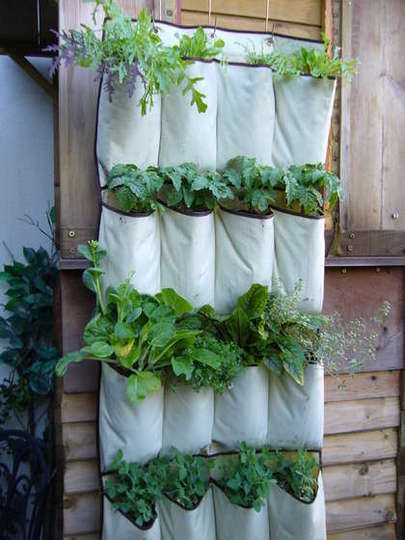 hi there – great collection of vertical garden – the 2nd last photo is originally from woollypocket.com and the shoe holder is from the industructibles website – hope that helps…. Thanks so much! I’m making the updates now. It did help! Thanks to you as well, for stopping by! Great blog, now one on my favorites! Thanks Will, that’s so sweet of you! « [Living Art Week!] Two for Tuesday!